Leaping into confidence, turning into boldness + making a point to express herself describes the path of dancer and performer, Najaah Malonne! Budding from her introverted personality, she discovered her creative space to showcase her individuality on stage for the world to see. Najaah started dancing at the tender age of 4 and joined Dance Academy West’s competition team at only 9 years old. By 10, she began performing solos to hone both her technique and stage presence. She quickly became an award winning dancer, collecting top honors, special judges awards and scholarships. In efforts to become an even better dancer, Najaah began attending summer intensives. 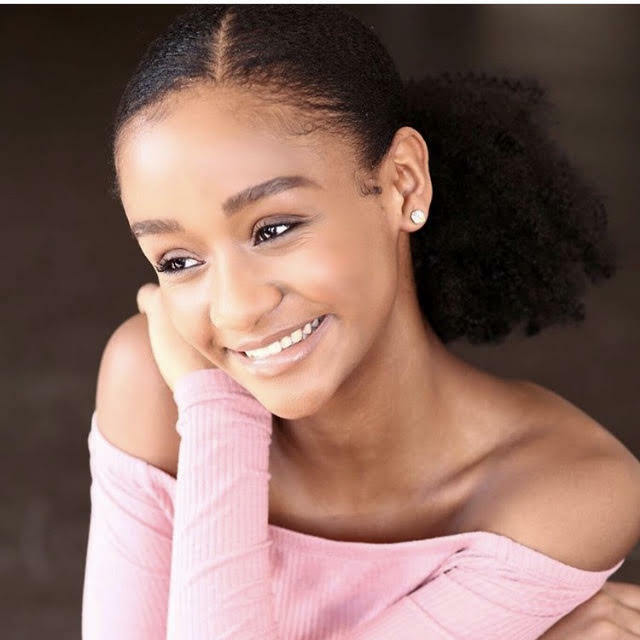 She has studied as a Jr Ballet Trainee at The Joffrey School of Ballet, Joffrey West Summer Jazz Intensive in Los Angeles, Debbie Allen Dance Academy Intensive in Atlanta and Alvin Ailey Summer Dance Intensive in New York. She also expanded her work with one of her solo choreographers, Mitchell Kelly from Season 8 of Fox’s “So You Think You Can Dance”. Mitchell provided aggressive development and performance opportunities through his youth foundation, MK Life Parts. He also provided her with a scholarship to her very first dance convention. ASH (Artist Simply Human) which proved to be a life changing experience for her. 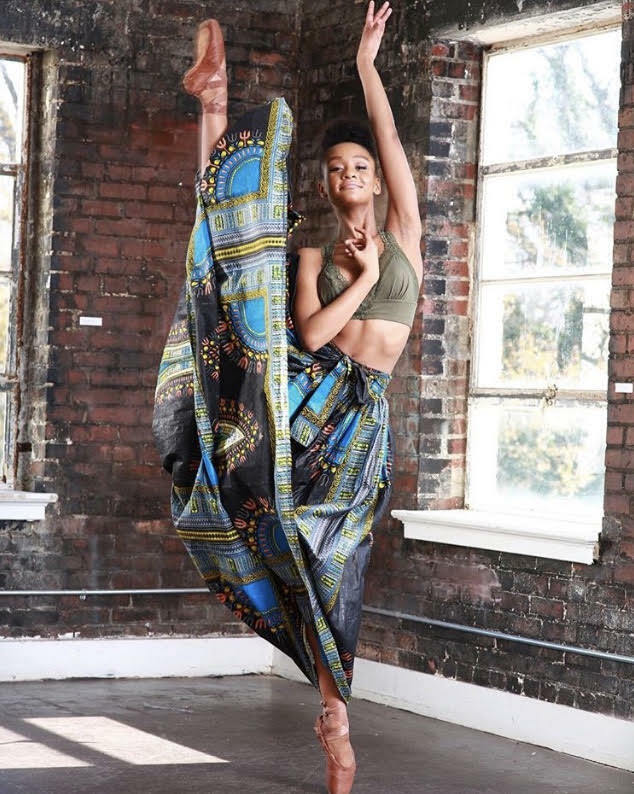 After that experience, Najaah knew she wanted to become a professional dancer and decided to shift her focus from competing, to developing her technique to prepare her for the life and rigors of the professional dance world. Although dance is her passion, she has begun to explore other facets of the performing arts including singing + acting. As an adult, she dreams of becoming a professional on the small and big screen and the Broadway stage, and study at institutions such as Julliard or Fordham Universities! Dance is a form of expression that allows you to be free in movement, what first motivated you to step into the world of dance? I always sang and tried to dance before I could even walk and talk. My parents put me in dance class because I was shy and introverted. They wanted me to have the chance to blossom and socialize with other kids before I began school. I immediately liked dance class. I listened to my teachers. Enjoyed being around other kids. But…it wasn’t until the performance and I was on stage did I fall in love with dance. Although I was shy, I loved to perform! You’ve participated in programs at influential companies such as The Joffrey School of Ballet, Debbie Allen Dance Academy and Alvin Ailey! How has each experience aid to shape your own style when it comes to dance? Each intensive is different because they have a different focus, emphasis or energy. Also, their locations and their legacies impact the styles of training and overall feel of each intensive. -The Joffrey Ballet summer intensive was my very first intensive for me! Joffrey is a ballet company. So ballet is the foundation and there were a lot of serious ballerinas there when you attended as a junior ballet trainee. At their jazz intensive, they had top talent and the vibe on the West Coast is different. There legacy yields lots of resources so they bring in great instructors to their intensives. They give away lots of scholarships and reach and attract lots of dancers. 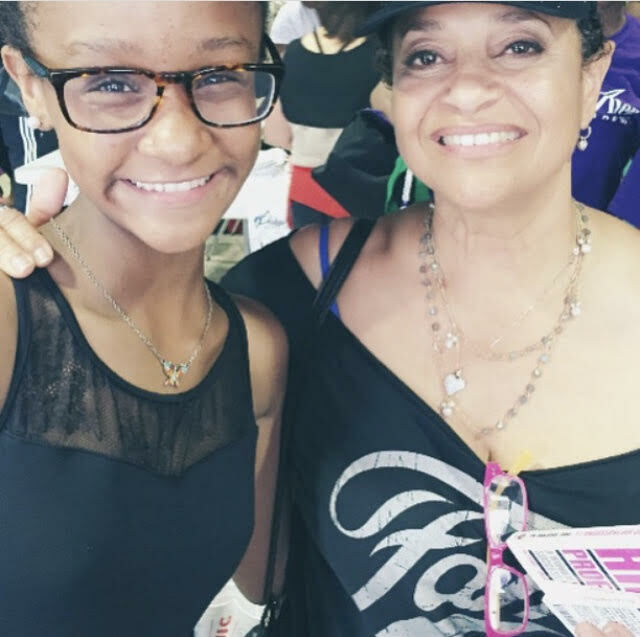 -Debbie Allen is a living legend and everyone loves her and her energy! She so highly regarded by her team and that energy is contagious. At the Debbie Allen Dance Academy Summer Intensive, they teach with so much passion. It’s special to have the founder of the intensive still alive and actually teaching classes and choreography to students. She’s accomplished so much and is still working and creating today and expanded into directing too. She’s a living breathing example of what you can accomplish as a dancer. When I was there they placed me in the advanced level. I was the youngest and everyone was much older then me. It was that that inspired me to push myself in order to keep up and grow! But overall the intensive was more commercial compared to Joffrey. –Alvin Ailey is like THE GOLD STANDARD! The Ailey School has the largest and most beautiful dance facility in New York. Which is saying a lot because NYC is the performing arts capital of the world. You can’t help to feel an overwhelming amount of pride while in the building. Mr Ailey was a dancer and he built an institution that is probably bigger than he ever dreamed! Everyone wants to train there. The training is so quality! The focus was on ballet & modern. But like other intensives, they offer all disciplines too. It was cool seeing Misty Copeland walking through The Ailey School to take ballet with The Ailey Company! The Company members would walk pass you and it’s like, WOW! They are examples of what discipline and dedication can lead up too. They are touring the world, touching people with dance and are a part of history and the legacy of Alvin Ailey. Not to mention NYC that is a force of culture and creativity all by itself. Being in New York is an experience that is life changing if you take in all of the arts, culture, food, people and energy! Which I tried to do all 3 summers I attended. I have done other intensives too. 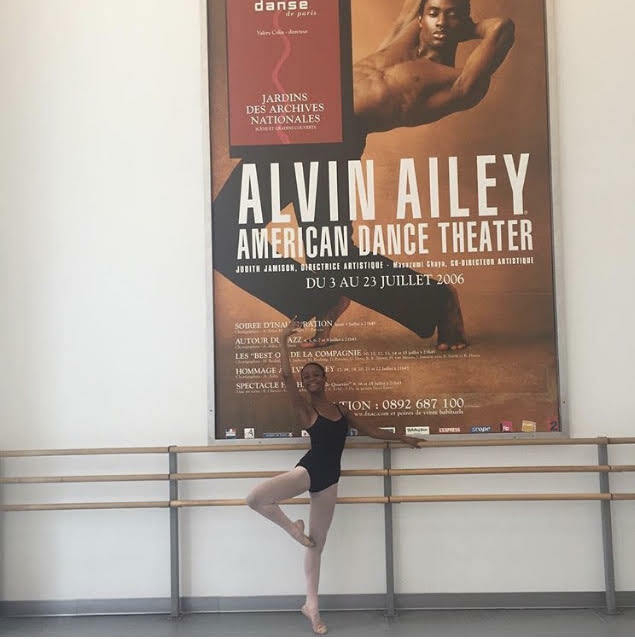 Alonzo Kings Ballet in San Francisco and Anthony Burrells Breaking Barriers too. Performing Arts gives an outlet to be creative + present in the moment! How has performing arts helped in building your confidence + discovering your strengths? the performing arts I have seen how much of an inspiration I can be to others which has made me want to work even harder in my profession. You have to stay true to who you are and know that you are living your life. You must follow your heart and do what you want. Of course you will face obstacles but those obstacles are what will make you stronger. It’s very important to get your thoughts together when you have a lot to balance in your life. My way of regrouping is simply going upstairs to my room. I plop on my bed and take out my phone to listen to music. The songs I play depends on the mood I am feeling on that particular day. I can get my mind off of situations when I have my earphones on. When I do this I am able to tune out the world and focus on what’s important. The first thing that comes to my mind is community, coming up and working together with others to fulfill the purpose to inspire and uplift one another. When doing this you are able to empower others to create greatness. It makes a system where people are able to support each other. This sense of unity and teamwork gives others the strength to conquer anything! This can also apply to the world dance. You are never by yourself as a dancer. You are always connecting and learning from different choreographers. There is music. And there is always an audience. Dance is a collective and everything feeds off each other. Time for faves! Celeb Crush? Artist? Food? Movie?